Horizon Ridge Wealth Management, LLC affiliates with various firms and individuals that allow us to provide our clients with complete end-to-end consulting strategies. To this end, we have strategically aligned with the affiliates listed below to help our existing clients or have interviewed the affiliates to learn what they do, how they help clients, and what value-add services they offer. We provide the following list of companies as a resource to help our current and future clients. **It is important to note, listing a company on this page is not an endorsement of the services offered by such company nor shall it represent preference toward any particular company. All views, public and private, expressed by any company, or their representative(s), listed on this page belong to that company and have no reflection on Horizon Ridge Wealth Management, LLC or our employees. Furthermore, we have no control over the contents or data protection of those sites or resources, and accept no responsibility for them or for any loss or damage that may arise from your use of them. If you decide to access any of the third party websites linked to this Website, you do so entirely at your own risk and subject to the terms and conditions of use for such websites. Horizon Ridge Wealth Management, LLC and their representatives will be held harmless of any actions, and outcomes, by any person(s) electing, of their own decision, to engage any, and every, company listed on this page resulting from the employment of any company and their respective representatives. 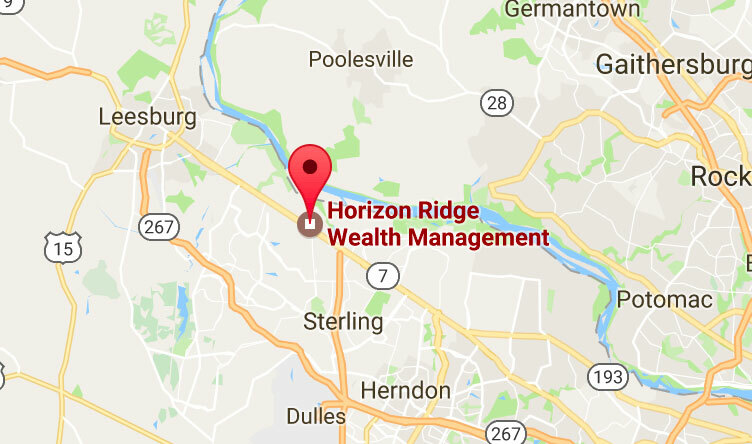 Horizon Ridge Wealth Management, LLC does not derive any compensation, directly or indirectly, for listing a company on this website. If a referral is provided to Horizon Ridge Wealth Management, LLC from any source, for any reason, it is done so based on merit of need and desired services offered.